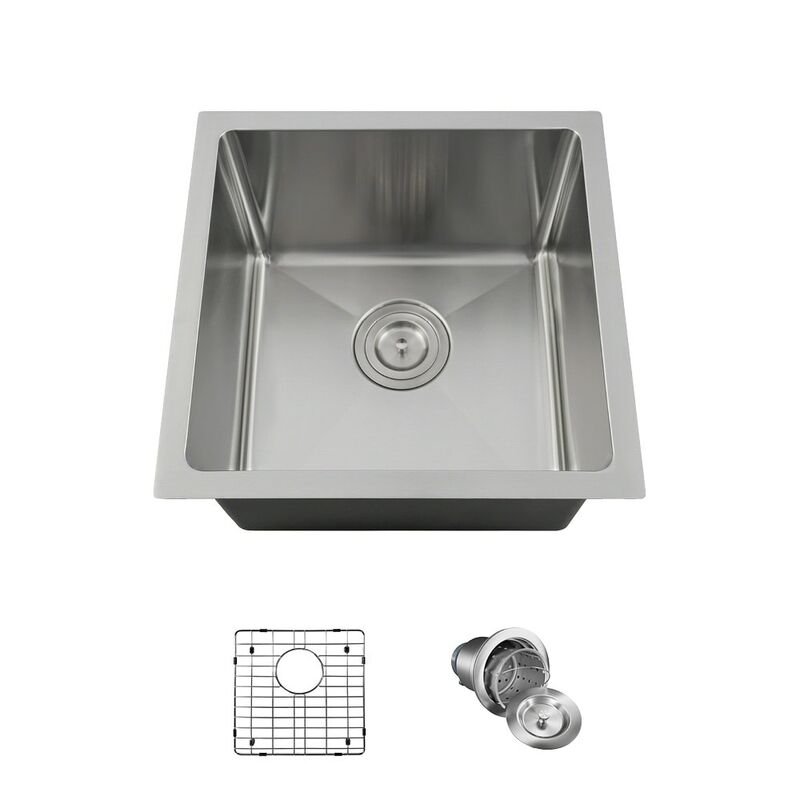 Created as a bar or food prep sink, this single-bowl design provides plenty of space for either use. It can be mounted under the counter in a choice of three methods, any of which will flaunt its 3/4-inch, corner radius style. Although small overall, its tight corners, square shape, and ample depth make it a wise choice. The 1717-16 is 304-grade, cold rolled steel with a heavy-duty, 16-gauge thickness. The surface is given a brushed-satin finish which adds to its luster and masks minor scratches which could occur over time. Dense, sound-dampening pads and an insulation coating are applied to the underside. With an overall measurement of 17" x 17" x 9 3/8", it will require a minimum-width cabinet of 21". It is cUPC certified. This listing does not include any accessories. EXCEPTIONAL DURABILITY -- Constructed of premium-quality, 304-grade stainless steel at a 16-gauge thickness; 25% thicker than the industry standard 18-gauge.